Biography: Ravi Sandhu is founding Executive Director of the Institute for Cyber Security at the University of Texas San Antonio, and holds an Endowed Chair. He is an ACM, IEEE and AAAS Fellow and inventor on 29 patents. He has received the IEEE Computer Society Technical Achievement award, and the ACM SIGSAC outstanding innovation and outstanding contribution awards. He is past Editor-in-Chief of the IEEE Transactions on Dependable and Secure Computing, past founding Editor-in-Chief of ACM Transactions on Information and System Security and a past Chair of ACM SIGSAC. He founded ACM CCS, SACMAT and CODASPY, and has been a leader in numerous other security research conferences. His research has focused on security models and architectures, including the seminal role-based and attribute-based access control models, and their applications in cloud, mobile and social computing. His papers have over 27,000 Google Scholar citations including over 6,500 for the RBAC96 paper. Talk description: Security and trust are interdependent concepts which need to converge to address the cyber security needs of emerging systems. This talk will lay out a vision for this convergence. We argue that security and trust are inherently dependent on three foundational concepts: attributes, relations and provenance. Security researchers have dealt with these three concepts more or less independently. In the future convergence of these three is required to achieve meaningful cyber security. The talk will speculate on some research and technology challenges and opportunities in this respect. Biography: Dr. Rajkumar Buyya is Professor of Computer Science and Software Engineering, Future Fellow of the Australian Research Council, and Director of the Cloud Computing and Distributed Systems (CLOUDS) Laboratory at the University of Melbourne, Australia. He is also serving as the founding CEO of Manjrasoft, a spin-off company of the University, commercializing its innovations in Cloud Computing. He has authored over 450 publications and four text books including "Mastering Cloud Computing" published by McGraw Hill and Elsevier/Morgan Kaufmann, 2013 for Indian and international markets respectively. He also edited several books including "Cloud Computing: Principles and Paradigms" (Wiley Press, USA, Feb 2011). 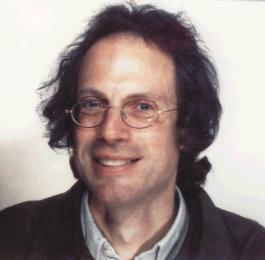 He is one of the highly cited authors in computer science and software engineering worldwide (h-index=78, g-index=156, 27900+ citations). Microsoft Academic Search Index ranked Dr. Buyya as the world's top author in distributed and parallel computing between 2007 and 2012. He is an "ISI Highly Cited Researcher". Talk description: The main aim of this talk is to deliver a either definite or compact knowledge on how hybridization can help improving the quality of computer classification systems. The talk is based on his recently published book on Hybrid classifiers: Method of Data, Knowledge, and Data Hybridization, Springer, 2014. In order to make readers clearly realize the knowledge of hybridization, this book primarily focuses on introducing the different levels of hybridization and illuminating what problems we will face with as dealing with such projects. In the first instance the data and knowledge incorporated in hybridization were the action points, and then a still growing up area of classifier systems known as combined classifiers was considered. Biography: Soura Dasgupta is a Professor of Electrical and Computer Engineering at the University of Iowa, U.S.A. He is a past Associate Editor of the IEEE TRANSACTIONS ON AUTOMATIC CONTROL, IEEE Control Systems Society Conference Editorial Board, and the IEEE TRANSACTIONS ON CIRCUITS AND SYSTEMS-II. 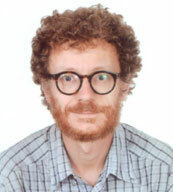 He is a co-recipient of the Gullimen-Cauer Award for the best paper published in the IEEE TRANSACTIONS ON CIRCUITS AND SYSTEMS for the calendar years of 1990 and 1991, and a member of the editorial boards of the International Journal of Adaptive Control and Signal Processing, and the EURASIP Journal of Wireless Communications. He received the University Iowa Collegiate Teaching award in 2012. In the same year he was selected by the graduating class for an award on excellence in teaching and commitment to student success. In 1993 he was a selected as a US National Science Foundation Presidential Faculty Fellow, an award given annually to 15 early career engineers and 15 early career scientists for excellence in research and teaching. His research interests are in Controls, Signal Processing and Communications. He was elected a Fellow of the IEEE in 1998. Talk description: Multi-antenna, or MIMO, technology has revolutionized wireless communication in terms of both power and spectral efficiency, and is now a part of commercial wireless standards (e.g., WiFi and cellular). MIMO techniques today, however, are fundamentally constrained by form factor and carrier wavelength, both of which limit the number of antennas that can be accommodated on a transceiver. In recent years proposals have been made for distributed MIMO where groups of transceivers self-organize into virtual arrays that are indistinguishable in their functionality from a centralized antenna array and scale to an arbitrary number of nodes. Such distributed MIMO (DMIMO) concepts have been analyzed by theorists and dismissed by practitioners because of fundamental synchronization bottlenecks. Unlike centralized antennas, in distributed MIMO each node has its own oscillator. The frequency and phase of these oscillators undergo drift modeled by Brownian motion. Even expensive oscillators starting in perfect synchrony, become virtually incoherent within tens of milliseconds. This talk will focus on synchronization issues involving two basic building blocks of DMIMO: distributed beamforming and distributed nullforming. In the former N-nodes collaborate to achieve a coherent beam whose power is N2-fold (as opposed to N-fold) higher than that due to a single node. Incoherence only results in an N-fold increase. In nullforming, nodes achieve a null at a prescribed location. It assists in achieving spatial-multiplexing and also secure communication. The key ingredient is scalable feedback by cooperating receivers. Biography: Dr. Jemal H. Abawajy is a full professor at school of Information Technology, Faculty of Science, Engineering and Built Environment, Deakin University, Australia. He is currently the Director of the Parallel and Distributing Computing Laboratory. He is a Senior Member of IEEE Computer Society; IEEE Technical Committee on Scalable Computing (TCSC); IEEE Technical Committee on Dependable Computing and Fault Tolerance and IEEE Communication Society. Biography: Dr.-Ing. Axel Sikora holds a diploma of Electrical Engineering (M.Eng.) and a diploma of Business Administration (M.B.A.), both from Aachen Technical University. He has done a Ph.D. in Electrical Engineering at the Fraunhofer Institute of Micro-electronics Circuits and Systems, Duisburg, with a thesis on high-temperature SOI-based ASIC design. After various positions in the telecommunications and semiconductor industry, he joined at the Baden-Wuerttemberg Cooperative State University Loerrach in 1999 as Professor. Since 2011, he holds the professorship of Embedded Systems and Communication Electronics Offenburg University of Applied Sciences. His major interest is in the system development of efficient, energy-aware, autonomous, secure, and value-added algorithms and protocols for wired and wireless embedded communication. He is founder and head of Steinbeis Transfer Center Embedded Design and Networking (stzedn). Dr. Sikora is author, co-author, editor and co-editor of several textbooks and numerous papers in the field of embedded design and wireless and wired networking. Amongst many other duties, he serves as member of the Steering Board of Embedded World Conference. Talk description: Cyber Physical Systems (CPS) are around for several years now. Market forecasts predict their broad utilization in the Internet of Things (IoT), as they promise cost reduction or an added value through the increase of services and quality and the availability of information. But, are CPS already well prepared for large-scale implementation in real life? Mission critical points are scalability, energy-efficiency, safety and security. However, also cost issues in the development, the commissioning and the operation phases play an important role. This talk gives an overview on the state of the art in CPS and shows some selected examples from the extensive list of R&D projects in the author's team in the last 15 years. It will also give hints for further R&D opportunities. Biography: Dr. Robin Doss joined the School of Information Technology, Deakin University, Australia, in 2003 and is currently the Associate Head of School (Development & International). Prior to joining Deakin University, he was part of the technical services group at Ericsson Australia and a research engineer at RMIT University. Robin received a Bachelor of Engineering in Electronics and Communication Engineering from the University of Madras, India in 1999, and a Master of Engineering in Information Technology and a PhD in Computer Systems Engineering from the Royal Melbourne Institute of Technology (RMIT), Australia in 2000 and 2004 respectively. His PhD thesis was on mobility prediction for next generation wireless networks. In 2007, he also completed a Graduate Certificate in Higher Education from Deakin University. Dr. Doss is a senior researcher within the network security and computing (NSC) research lab at Deakin University and has made significant contributions in the areas of network security, network design and protocol development for wireless networks. His research has focused on information gathering in wireless sensor networks, defense against distributed denial of service (DDoS) attacks in the Internet, system recovery in mission critical wireless networks and secure and efficient communication in near field systems. His research has been funded by the National Security Science and Technology (NSST) branch of the office of national security in collaboration with the Defence Signals Directorate (DSD), the Australian Research Council (ARC) and industry partners. Dr. Doss was part of the team of researchers funded through the Research Support for Counter Terrorism (RSCT) initiative of the Australian government to provide advice to the department of Prime Minister and Cabinet. In 2006, Dr. Doss was a visiting scientist at IBM Research, Zurich Research Laboratory (ZRL), Switzerland where he contributed to the European Union project, e-Sense. Dr. Doss has served as the chair of several international symposia, workshops and conferences in the areas of wireless communication and network security. He serves on the technical programme committee for several conferences on wireless communications and is a regular reviewer for international journals and PhD theses. He is also an affiliate researcher with the ARC Research Network on Intelligent Sensors, Sensors Networks and Information Processing (ISSNIP). He has published widely and his research results have been published in the IEEE Transactions on Parallel and Distributed Systems, IEEE Transactions on Information Forensics and Security, IEEE Transactions on Dependable and Secure Computing, IEEE Communications Letters, Computer Networks and Ad Hoc Networks among others. Talk description: The data gathering capabilities of wireless sensor networks (WSNs) are particularly attractive for mission critical operations that can be deployed in unattended and hostile environments such as battlefield surveillance, military reconnaissance and emergency response; so intelligence can be gathered without the risk of human casualties. Traditional approaches for information discovery in WSNs have assumed the communication pattern as many-to-one where sensors gather information and then push to a central data repository, the “sink”. However, mission critical applications on WSNs are intended to work without a main control centre (such as a sink) and they demand life/time critical information and support for unique traffic patterns that maximize the network lifetime. Further, the nature of such mission-critical applications requires high quality of service (QoS) requirements for the information discovery process. Many emerging applications for WSNs require dissemination of information to interested clients within the network and require support for differing traffic patterns. These requirements make information discovery a challenging task because the complexity and energy-constraints of wireless sensors makes this a non-trivial problem. Early approaches to information discovery, such as flooding and gossiping with push-pull strategies use broadcast communication. For instance, in a military application, a sensor network might be deployed for enhancing the soldiers’ awareness when visibility is low. Sensors that detect an event can “push” this information out to every sensor in the network (e.g., sensors detect tanks and enemies and can periodically “push” that information to the other sensors on the network) or they can wait and allow a sensor to “pull” this information through querying (e.g., soldier sends a query such as “Where are the tanks or enemies?”). The efficiency of “push” or “pull” methods varies and depends on the demand for information. However, when the frequency of events and queries are not taken into consideration, pure pull-based or push-based methods are inefficient in real deployments. Recent approaches for information discovery, such as Comb-Needle, Double Ruling and Cross Roads, aim to successfully balance push and pull approaches to improve the QoS in terms of efficiency and lifetime of the WSN. In this talk we will look at the challenges of information discovery in a multi-dimensional wireless sensor network. A multi-dimensional WSN is defined as a WSN that is deployed to gather and store data related to multiple attributes. Biography: Peter Mueller joined IBM Research as a Research Staff Member in 1988. His research expertise covers broad areas of distributed computing systems architecture, microwave technology, device physics, nano science and modeling. His current field of research is in the areas of data center storage security and reliability and the high frequency technology. Peter is a founding member and was the Chair of the IEEE ComSoc Communications and Information Systems Security Technical Committee (CIS-TC). In the course of his carrier he authored and co-authored more than 100 papers, 2 books, granted 10 patents and served as guest editor for many special issue publications. He also served as a government counsel and as organizer for numerous international conferences and workshops. His affiliations include active society membership in IEEE, where he is Senior Member; the Society for Industrial and Applied Mathematics (SIAM); the Electrochemical Society (ECS); and the Swiss Physical Society (SPS). Talk description: Thirty years ago, Richard Feynman thought up the idea of a ‘Quantum Computer’, which at that time was recognized as a topic of science fiction. But with the advances in science and technologies of computing, communications and informatics, the fiction is becoming reality. Quantum algorithms have been developed that have the potential to solve problems in the fields of number theory and model simulation. To build quantum computing systems, and the dedicated software onto it, requires developments in many scientific areas. We will take a look at the basic quantum computing hardware, and at a possible quantum logic technology and how to use it. Questions like device architecture and programmability, scalability, reliability and error correction will be addressed and compared with the related topics in our current areas of research on classical computation. Biography: Dr. Michael Steiner is a research staff member of the IBM India Research Lab and the IBM T.J. Watson Research Center. He received a Diploma in computer science from the Eidgenössische Technische Hochschule (ETH) Zürich, Switzerland in 1992 and a Ph.D. in computer science from the Saarland University, Saarbrücken, Germany in 2002. His interests cover secure and reliable systems as well as cryptography. At IBM, his work ranged from cryptographic protocol design & analysis, over security architectures & implementations to penetration testing in domains as varied as electronic commerce & payment systems, compliance management, web2.0, cloud and smart grid. He is co-author of more than 50 scientific publications and received seventeen patents with more under evaluation. Talk description: In this talk, I will address the problem of performing private database queries, motivated by real-world requirements, e.g., of protecting sensitive data in the cloud or allowing law enforcement & intelligence agencies to privately yet accountably query third-party databases. I will discuss the technical difficulties which might lead to lower bounds and necessitates, e.g., the co-development of the cryptographic protocols with the overall system design. I will present corresponding practical solutions which provide real-world scalability and discuss interesting aspects of these solutions. Biography: Dr. Dilip Krishnaswamy received his Ph.D. degree in Electrical Engineering from the University of Illinois at Urbana-Champaign in 1997. 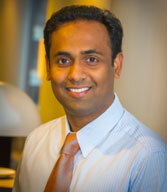 He is a senior researcher at IBM Research Labs in Bangalore, India. He was a Platform Architect at Intel from 1997-2006, and a senior staff researcher at the Qualcomm Research Center in San Diego, California from 2006-2013. He served as the Associate Editor-in-chief of the IEEE Wireless Communications Magazine from 2009-2013. He served as general chair of DCPerf 2014, and ICDCN2014. He is currently serving as Exec chair for IEEE Globecom 2015, and General chair for ICDCN 2015. His current research interests include distributed data centers, network functions virtualization, distributed services, smarter planet systems, cognitive systems, and nano-networks. Talk description: Network Functions Virtualization is an emerging area of research that enables hardware appliances in networks to be replaced by software appliances in data centers. The talk will discuss various emerging research directions in this area such as policy-based resource management, data center resource optimization, viral content management, security in NFV systems, and open interfaces for information exchange in such systems.